The movie The Internship portrays Google as the ultimate employer to intern with as a college student. Is that accurate? The answer is yes, depending on your role. If you are a Software Development Engineer (SDE), then Google is the #1 choice for both internships and entry level jobs. I previously headed up global hiring for Amazon. Google was our #1 competitor for internships and entry level jobs. If you want a great internship or entry level job, Google is the place. Yes, Amazon a great employer as well, but Google is still #1. Back to The Internship. I think we all know that Vince Vaughn and Owen Wilson would not have actually gotten that internship. Sure, it makes for great movie plot lines, but it’s not reality. Yet take Vince and Owen out of the scenes and you’re actually not far off from life as a Noogler (new Googler) at Google. The characters and the dialogue were pretty much all Hollywood, but the underlying internship is real. So back to reality. 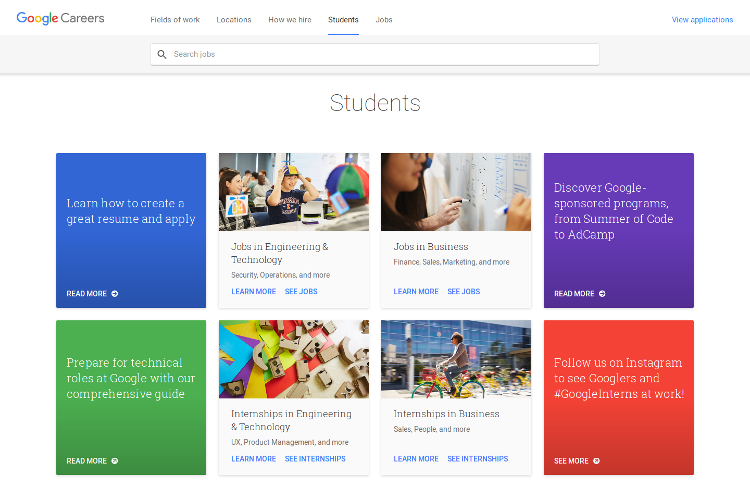 Why is Google considered to be the ultimate internship? And why not Apple, Amazon, Facebook or Microsoft? Because of perception. And pedigree. The perception is that Google will provide the pedigree to any techie to do whatever they want in their career. Stay with Google. Or move on and do other things. Is Google the ideal place to work as an intern? It can be, if you’re into tech. Even if you’re not into tech, there are a lot of non-tech jobs at Google. Yet Google is just one very small slice of a very large employment universe. There are many employers out there with equal or sometimes even better opportunities that are a better fit for you and your personal needs. Many college students end up going to work for a company they had never heard of before the interview process. Expand your horizons. Take a look at the full breadth of internship opportunities available at CollegeGrad.com. Yes, you’ll find Google internships at our site. But you’ll also find internships and entry level jobs from thousands of other employers, including many you haven’t heard of. Yet.